A dental bridge is just one of the solutions used to replace lost teeth available at Dr. Ed Trizzino’s practice, Smiles of Atlanta in Sandy Springs, Georgia. If you have lost a tooth, call or book an appointment online today to see if a dental bridge is a replacement method that will work for you. Dr. Trizzino serves patients from throughout Northern Atlanta, Georgia, including the communities of Sandy Springs, Alpharetta, Dunwoody, Brookhaven, Roswell, Norcross, and Tucker. A dental bridge is a false tooth or teeth held in place by crowns that anchor to the teeth on either side of the gap. The crowns that hold the bridge in place are typically made of porcelain, which can be tinted to match your natural teeth. The false tooth, which is also referred to as a pontic, is also usually made of ceramic but may have a metal core for added strength. When you lose a tooth, and there is an empty gap in your jaw, you are at risk of your teeth shifting into the available space. This can lead to other problems with alignment and function, especially if your teeth twist, turn, or move out of the correct place. Not only can this cause cosmetic concerns, but it also can result in pain when you chew. 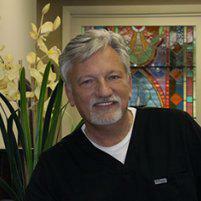 Dr. Trizzino usually installs dental bridges in two visits. During the first visit, Dr. Trizzino prepares the anchor teeth for their crowns by removing a small portion of enamel. This creates enough space for the crown to sit flush against the rest of the teeth. He also takes an impression of your teeth at this time. That impression is then used as a model for the crowns and false tooth to be created. Before you leave, you are fitted with a temporary bridge to protect your teeth while you wait for your permanent bridge to be made. At your second visit, Dr. Trizzino fits the permanent bridge into your mouth. He checks the fit and your bite. The crowns and false tooth are polished until they shine like natural teeth. Dr. Trizzino makes any adjustments necessary to perfect the fit and ensure your comfort. In most cases, you brush and floss your bridge just like you do with your natural teeth. Your hygienist and Dr. Trizzino will provide you with any specific instructions necessary to clean and care for your dental bridge. You will also need to have regular dental checkups with Dr. Trizzino so that he can monitor your dental health and ensure that your bridge fits correctly and is an efficient tooth replacement solution.